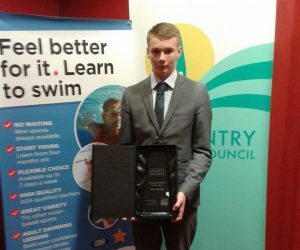 Joe Watkins, 16, who is a ECKA Kingsthorpe student, beat off tough competition to take the title at the recent Daventry District Sports Awards. In the Daventry District Council awards brochure it said: “Joe has been training in the art of karate since early 2007. 2014 has been a particularly rewarding and exciting year for Joe. Joe was sponsored by local company, Euro Scaffolding, for his trip to Rimini in Italy at the Junior & Cadet World Championships. 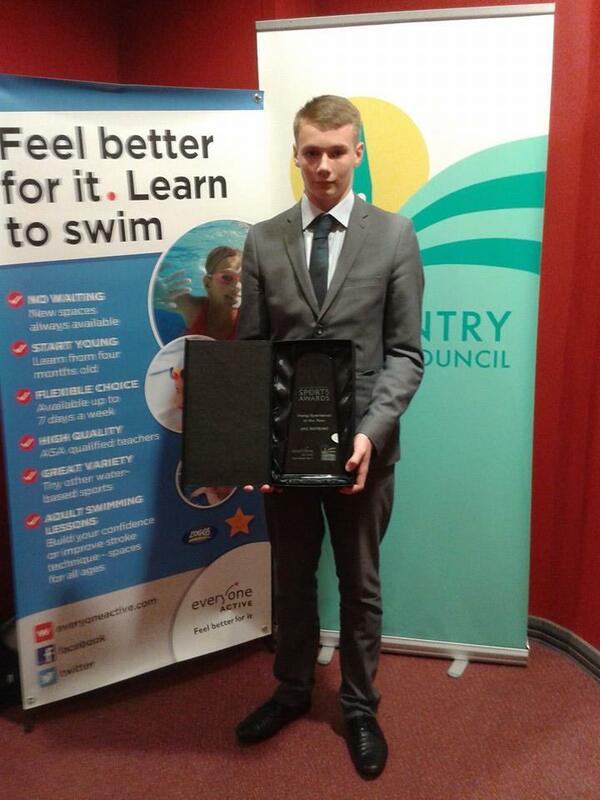 He has also received support from the Northamptonshire Community Foundation. Joe attributes his success to date to Michael and Tony Adams from ECKA Kingsthorpe who have trained him over the past seven years. To improve his fitness, performance and experience at a national and international level, Joe is now pushing forward with an intense training programme in Stoke on Trent twice a week as part of the WAKO youth development programme, as well as attending conditioning and sparring training at Pro Martial Arts in Kings Heath every other week and training on his fitness at Image Gym in Brackmills. Joe will also continue to train at ECKA Kingsthorpe on Fridays and every other Saturday and to mentor the younger students, attending competitions with their fighting team.